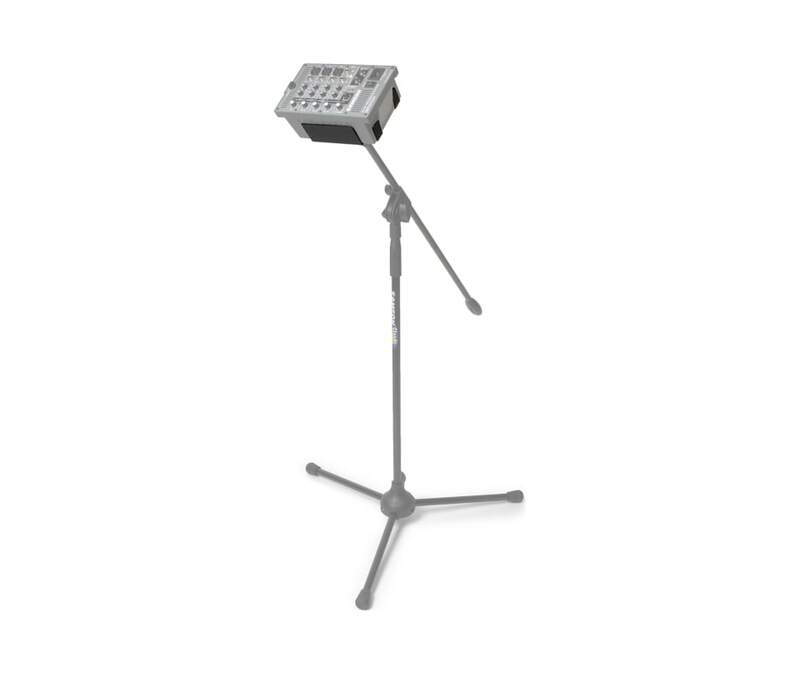 The SMS Mixer Stand Holders are ideal accessories for Samson's Expedition Series Portable PAs. Available in three models (SMS150, SMS308, SMS1000), the SMS holders are custom-designed to the corresponding mixers of Samson's Expedition XP150, XP308i and XP1000 (and XP510i) PA systems. Each model mounts to any standard microphone stand, allowing for custom placement of the mixer section of your PA. With a solid metal design, the SMS holders are built to handle heavy and constant use. Samson's SMS Mixer Stand Holders provide exceptional convenience to PA users everywhere, allowing for audio level adjustments to be made without interrupting ongoing performances.